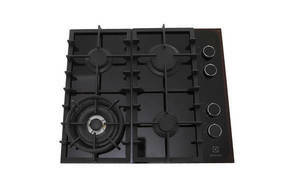 Snapshot: The Electrolux EHG643BA gas cooktop has 4 burners and flame-failure protection. How well does it cook? Very good burner layout (wok and simmer burners are at the front). Controls located on the side so are less accessible to small children.